Podere Torre is a small vineyard where high quality wine and olive oil are produced. 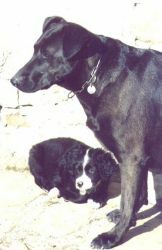 Accommodation is available all year round. 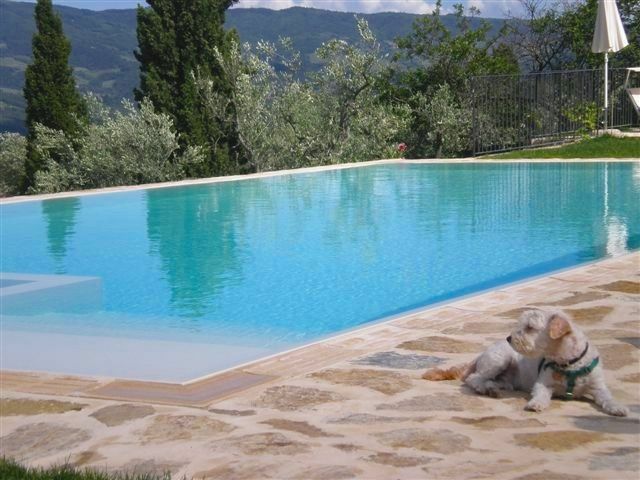 We offer an apartment for 2 or 4 persons, and rooms with attached shower. We offer accommodation for a maximum of 5 persons. 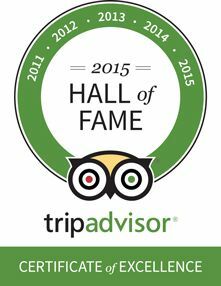 To make a reservation or enquiry, simply email Cecilia. 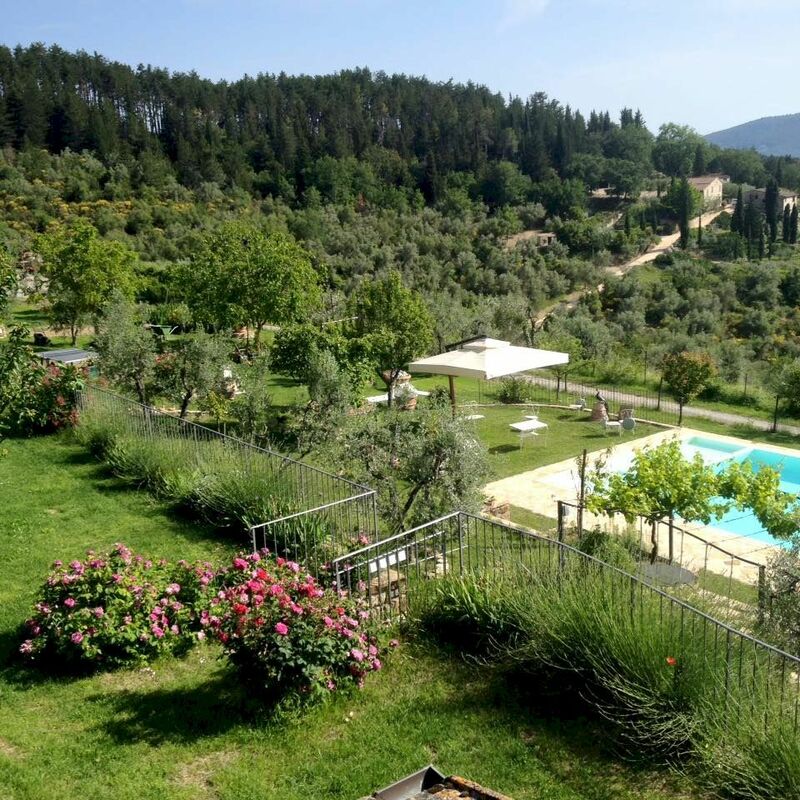 Apartment for 2 or 4 persons, and rooms with attached shower. Breakfast costs Euro 10 per person. 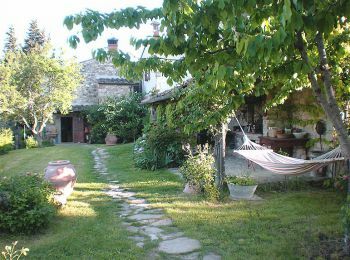 Laundry products, gas, electricity, winter central heating, wood for the fire, WIFI, swimming pool, parking, final cleaning, taxes. 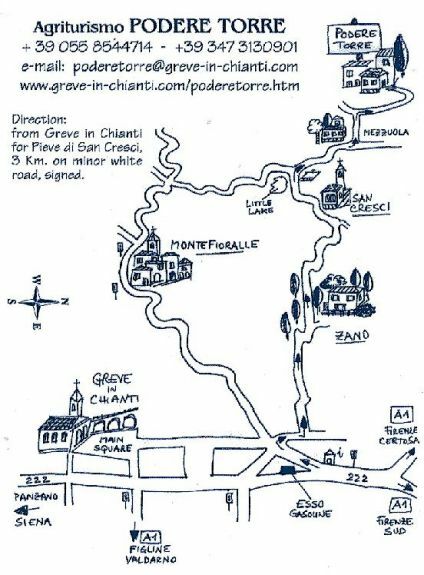 Podere Torre is located in an area of typical Chianti hill country near Greve in Chianti, at 450 meters above sea level and halfway along the road from Florence to Sienna (Route 222, the scenic "Chiantigiana"). 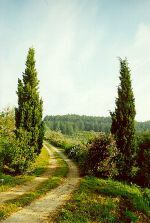 It is a small vineyard farmed by Cecilia where she produces excellent quality olive oil and wine. 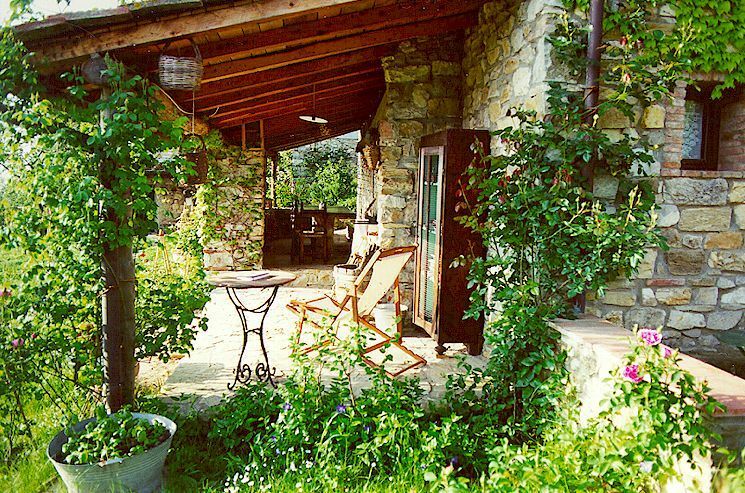 A few guests are lodged in a small converted barn ("fienile" 28 sq. 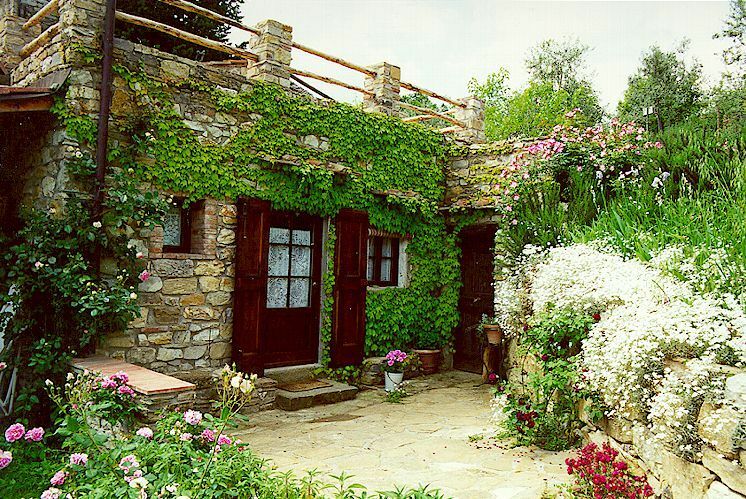 m.) with a kitchenette, a stone fireplace, a pergola outside and a terrace with a magnificent vista. 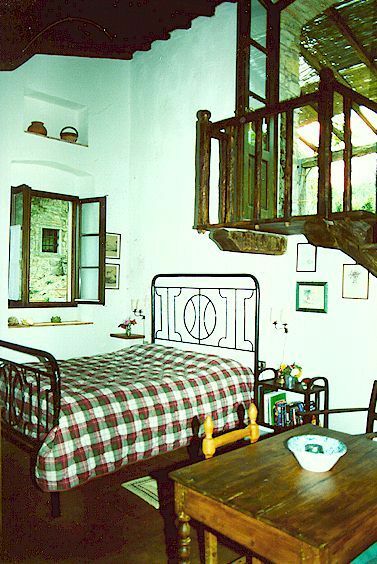 It is possible to have Bed and Breakfast accommodation in rooms with attached bathroom, named “concimaia”, from its original function, and “la stalla”, located on the ground floor of an old watch tower dating from the 11th century. A barbeque and laundry facilities are available for the guests. 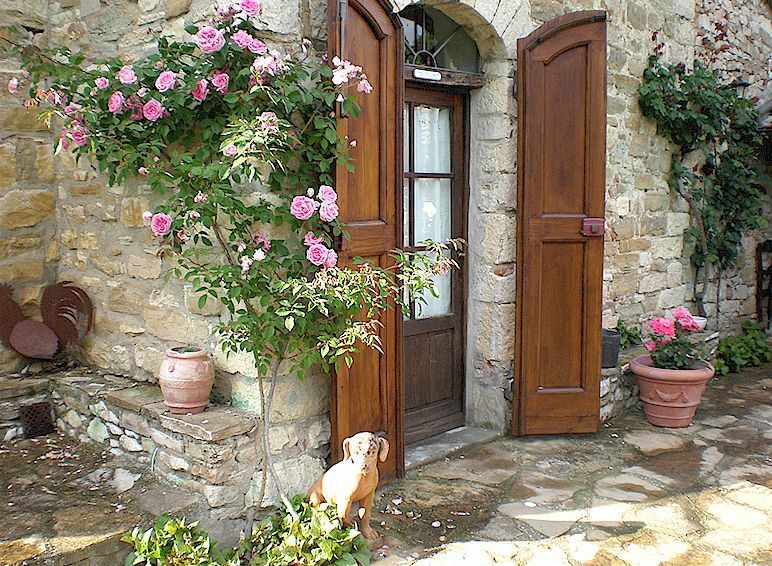 Cecilia's passion for antique roses makes the scenery even more attractive and a stay in this farm house provides an excellent opportunity to enjoy tasting the products of the vineyard and the Chianti. 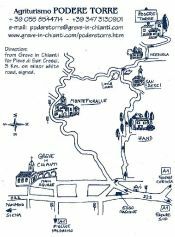 To reach Podere Torre, coming from Florence, you turn to the right, shortly after reaching the first houses of Greve in Chianti, in the direction of the Pieve di San Cresci, as indicated on the little map (3 km along an unpaved road).